Ecorithm is transforming unstructured building data inputs into actionable intelligence that drastically improves building operations. Institute for Energy Efficiency faculty Igor Mezic originally developed the sophisticated technology leveraged by Ecorithm under a grant from DoD/DARPA to analyze fighter jet performance. The Goleta, Calif.-based startup has tapped into the “Big Data” enabled by sensors and actuators present in existing building management systems to identify anomalies and optimize commercial building performance, which results in lower energy costs and improved occupant comfort. Figures published by the U.S. Department of Energy state that on average approximately 25% of the energy consumed by buildings is wasted, even in buildings that are already considered “green.” With buildings consuming 40% of all energy and 65% of electrical consumption, this accounts for tremendous energy savings potential. Programs like LEED (Leadership in Energy and Environmental Design) use established guidelines for the design of building systems, but Ecorithm’s solution picks up where these design guidelines leave off, optimizing the building based on the way the occupants actually use their spaces, resulting in large energy savings opportunities and improved occupant comfort. Ecorithm employs a holistic deep building analytics approach to realize large-scale energy savings in large commercial buildings. It starts with collecting hundreds of millions of values every month from existing sensors and performing billions to trillions of calculations. Sophisticated algorithms then take into account how all components in the building system interact with one another and identify the key “pressure points” adversely impacting performance. Ecorithm provides ongoing prioritized reporting and diagnostics of the persistent and important issues that affect efficiency and comfort to enable highly targeted maintenance and optimization, most often involving low-cost implementation that requires keystrokes rather than wrenches. Through this process, customers typically realize paybacks in a matter of months. Potentially dwarfing the energy savings is the top-line impact of the improved comfort on tenant satisfaction and retention. Ecorithm’s solution has resonated with renowned thought leaders from the real estate, building engineering, and energy industries, many of whom have invested their time and resources to accelerate Ecorithm’s product development and commercial advances. Ecorithm’s advisory board includes: Dan Tishman, Chairman and CEO of Tishman Construction; Robert Fox, pre-eminent green architect of Cook+Fox Architects and head of the GSA Green Team; Scott Frank, Senior Partner of JB&B and board member of the Urban Green Council; Robert Kantor, President and COO of Time Equities, Inc.; and Kristina Johnson, former Under Secretary of Energy for the U.S. Department of Energy. Ecorithm’s customers include some of the most sophisticated and recognizable buildings in the country as well as some of the largest REITs and privately held commercial building owners. Initially focused on New York City, Ecorithm has since expanded its footprint on the East Coast. Over the next 12 months, Ecorithm will establish a powerful channel in America’s top commercial real estate markets to enable countrywide deployment before turning its attention to overseas markets. 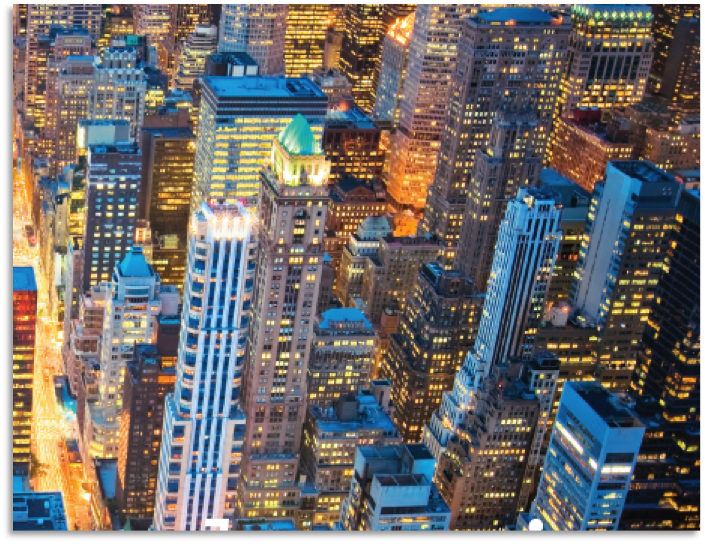 Figure 1: Ecorithm's technology creates large energy savings for commercial buildings, including New York City high-rises, through billions to trillions of sophisticated algorithms that take into account how all components in a building system interact with one another.